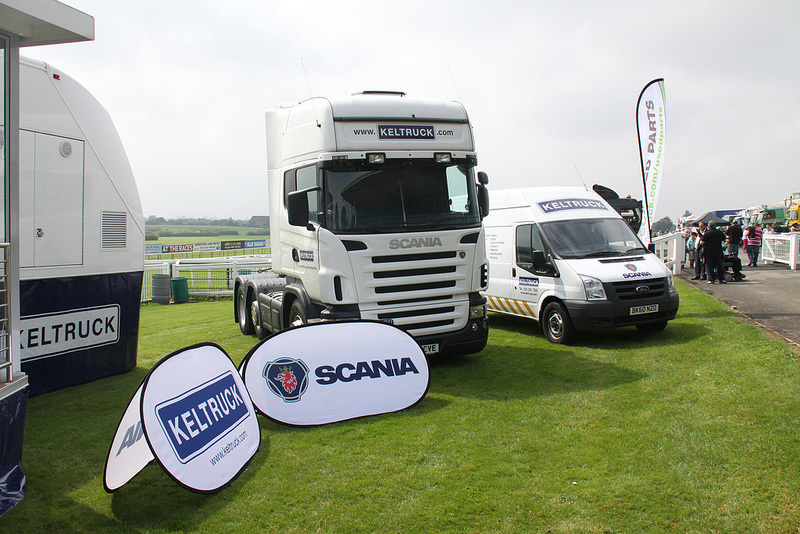 Keltruck’s exhibition trailer made its debut appearance on Sunday 12 August at the Hereford Truck Show. 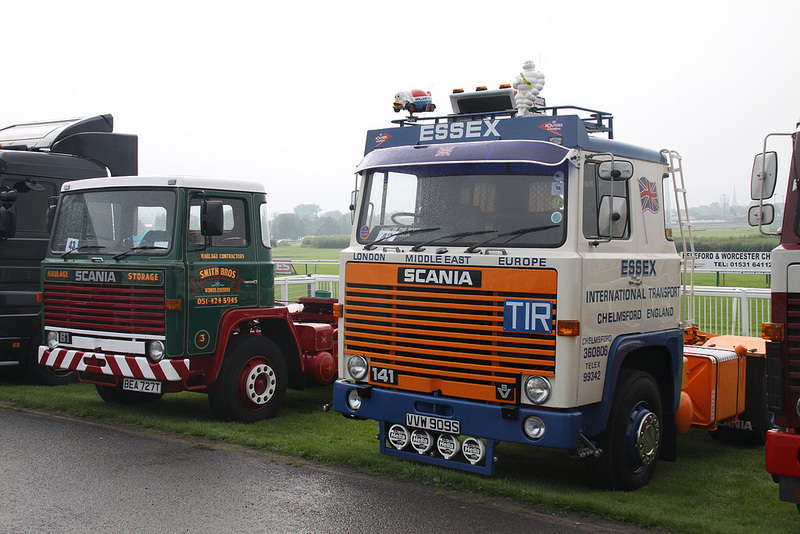 Joining the exhibition was a Walters Plant 8×4 tractor unit supplied by David Walters for the day, a Keltruck used 8×4 and three of Keltruck’s classic trucks: our Scania R143 Streamline tractor unit, LB81 tractor unit and LB141 tractor unit. 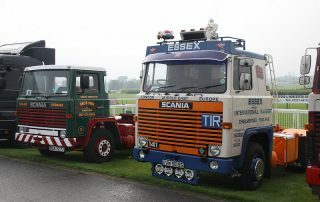 Visitors to the show braved the wet start to the day but were soon rewarded with a great afternoon of sunshine which paid homage to the time and trouble that the exhibitors had gone to bring their vintage and highly painted vehicles for all to see. 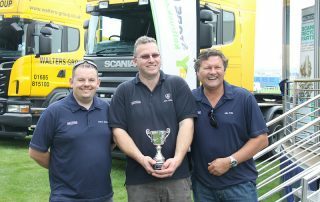 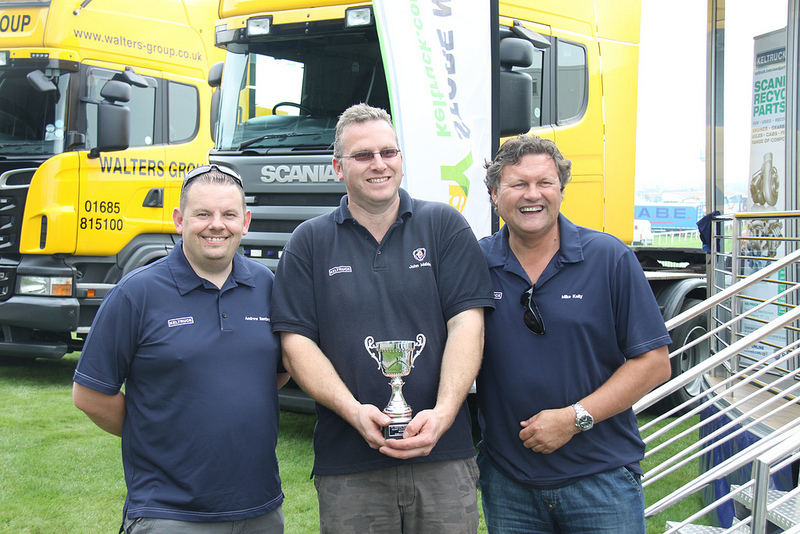 Keltruck won the ‘Best Vintage Vehicle’ cup for the second year running at the presentation of their LB81 which was presented to John Maiden and photographed by show organiser Andy Powell. 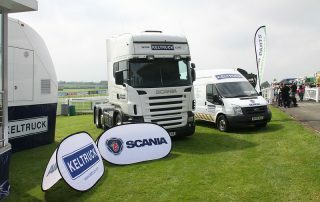 Keltruck will be exhibiting next at the Retro Truck Show at the Heritage Motor Museum, Gaydon, Warwickshire, CV35 OBJ on 16th September 2012 10.00am – 4.00pm.